The draft revised SIP13: has it sold out to SIP16? The consultation release explained that the SIP13 revision involved using “(wherever possible) language which is consistent with SIP16”. The resulting draft gives me the impression that the working group started with a blank sheet of paper and asked themselves: how can we adapt SIP16 for on-liquidation sales? I agree that much of the current SIP13 is redundant, as it simply reproduces principles from the Code of Ethics (albeit that the Code rarely makes such direct applications), it does seem to me that the diversity of scenarios for connected party sales in and around insolvency processes has been lost in this redraft. This SIP’s primary focus clearly has become post-appointment connected party sales that are contemplated prior to appointment. Why chop out so many connected party sales that are caught by the current SIP13? Will this improve perceptions? Will we lose valuable transparency if we assume that the only connected party transactions worthy of disclosure are quasi pre-packs? Item 2 is pointless: a SIP should not have to state that IPs need to be able to demonstrate that they have complied with legislation. The other two items are generally reasonable, but I think the application of these requirements is confused by the preceding section headed “Preparatory Work”. In fact, item 1 above appears in the “Preparatory Work” section, which adds to the perception that the entire SIP relates only to quasi pre-packs. The SIP’s “principles” explain that “insolvency practitioner” is to be read as relating to acting in advisory engagements prior to commencement of the insolvency process. The “preparatory work” heading and the reference to the pre-appointment “decision to make a sale” lead me to wonder whether the sections that follow – “after appointment” and “disclosure” – apply only to sales where pre-appointment preparatory work has been undertaken. Another issue with the heading – and the fact that the first sentence above is a copy of para 10 of SIP16 (with the omission of “pre-pack”) – is that it suggests that SIP13 does not capture sales completed pre-appointment. But does it make sense to reduce SIP13 to a SIP16 baby brother? Does the SIP work for liquidation sales? Often business and/or asset sales to connected parties are conducted in or around a CVL process. Sometimes the sale happens pre-liquidation: sometimes without the advising IP’s involvement, but sometimes with their knowledge and assistance. In other cases, the IP takes no steps to sell the assets until his/her formal appointment as liquidator; indeed, in some cases the IP will not even have met or spoken with the directors before the S98 meeting as they replace the members’ choice of IP as liquidator. SIP8 will be changed enormously by the 2016 Rules and rumour has it that SIP8 might even disappear completely. 1 involved a post-CVL unconnected party sale. Of course, there can be all kinds of reasons why a company goes into CVL with no chattel assets, but if the revised SIP13 is issued, how many connected party transactions will go entirely unreported in future? Might it even influence more directors to dispose of assets before an insolvency office holder is appointed so that the sale falls under the radar? Of course, the insolvency office holder will make appropriate investigations into a pre-liquidation (or any other insolvency process) sale. Therefore, is there really any harm done if the details of the sale are not provided to creditors? I guess not, but doesn’t the omission de-value the efforts to ensure that office holders disclose post-appointment sales? What are the chances that the distinction between a pre and post sale will be lost on some creditors? If they see solely a cash at bank lump sum received by the liquidator of a once asset-rich company and few details, what might their sceptical minds conclude? As I mentioned at the start, this draft revised SIP13 seems to have been produced from a blank sheet of paper and a copy of SIP16. However, fortunately, this SIP seems to have avoided the prescriptive shackles of its fellow. The consultation release referred to SIP13 having been drafted “in a proportionate way and without being onerous, recognising that it may apply to low value transactions”. Notwithstanding that some liquidation business/asset sales may be as hefty as some pre-packs, I think this is good news: the draft SIP13 does not contain a SIP16-style shopping list of disclosure items (bravo!) and sticks to the principle of providing “a proportionate and sufficiently detailed justification of why a sale to a connected party was undertaken, including the alternatives considered”. Therefore, whilst I suspect that disclosure of material business sales may be expected to contain a number of SIP16 elements, at least selling an old computer to the director for £50 will not require a chapter-and-verse account. However, it will take diligence on the part of those drafting and reviewing creditors’ reports to ensure that an adequate explanation, depending on the specific circumstances, is given. As with the new SIP9, formulaic approaches to report-writing will not work. Personal insolvency processes are caught, so for example it would include a bankrupt’s family member buying out the Trustee’s interest. I agree that a revision of SIP13 is long overdue: for one thing, its reference to a Rule 2.2 report lost all relevance in 2003! The consultation – available at http://goo.gl/D91QMo – ends on 11 May 2016. I’ll be submitting a response, so if you want to counter my opinions, you’d better getting writing. 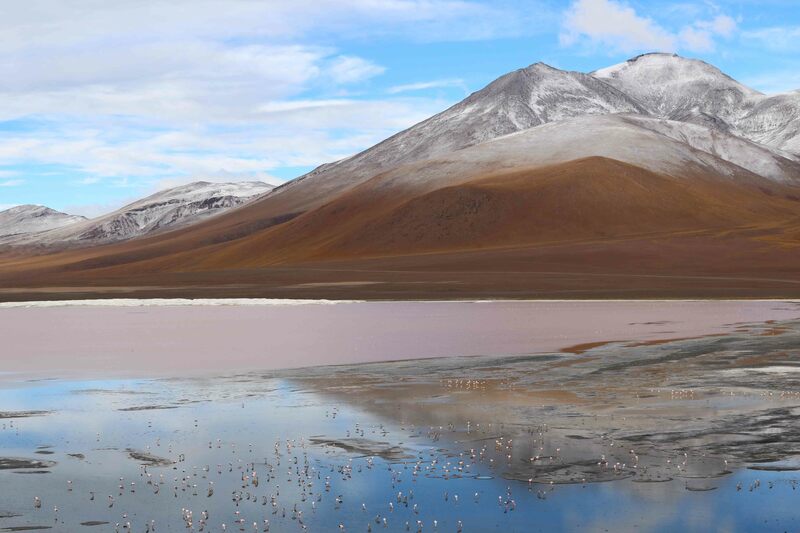 By the way, if you’ve been wondering how the picture relates to the story: there’s no connection, it’s just that I’ve recently returned from a spectacular trip to Bolivia and Chile. Categories: Consultations | Tags: liquidation, pre-packs, SIP13, SIP16 | Permalink.